Canon has revealed what to expect at its stand at the upcoming Focus on Imaging show taking place at the NEC in Birmingham at the beginning of March. 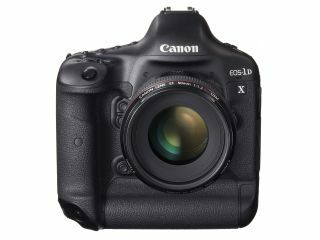 Estelle Sexton from Canon UK told TechRadar that customers could expect the whole line-up of Canon cameras to beat the stand, from entry level cameras up to the professional level Canon EOS 1DX, which was announced in October 2011. Interestingly, however, it is expected that full-production samples of the 1DX still won't be available at the show. Originally slated for a mid-March release, it has been rumoured that the camera has faced production delays. Sexton also told us there would be individual "pods" for each product, along with a lens gallery looking out over the show which will have a large assortment of Canon lenses to test out. A separate area for CPS (Canon Professional Services) members will also be available. It's also expected that the Canon EOS C300, the company's DSLR lens compatible video camera will be at the show, along with large-scale printers, such as the recently announced Pixma Pro1. Canon was absent from last year's Focus on Imaging show, but it usually has one of the largest stands at the event. Referring to this year's show, Sexton said, "It is bigger than last time we were there and we have the addition of a large format printing area." A program of free seminars will also be available, with around 4-6 speakers expected on each day. Focus on Imaging runs at the NEC between 4-7 March. We will be at the event to bring you all the latest news and hands-on, so stay tuned.